Detroit police spokesman Michael Woody told AP Thursday morning that he couldn't release details about why police are investigating the death as a possible suicide, but noted there were "basic things observed at the scene." Cornell died at the MGM Grand Detroit hotel, Woody said. He said Cornell's wife had called a family friend and asked him to check on Cornell; the friend forced open a hotel room door and found Cornell on the bathroom floor. The Wayne County Medical Examiner's office will make an official determination about the cause of death. News of Cornell's death prompted scores of tweets expressing sadness. Aerosmith guitarist Joe Perry tweeted: "Very sad news about Chris Cornell today. A sad loss of a great talent to the world, his friends and family. Rest In Peace." With his powerful, nearly four-octave vocal range, Cornell was one of the leading voices of the 1990s grunge movement with Soundgarden, which emerged as one of the biggest bands out of Seattle's emerging music scene, joining the likes of Nirvana, Pearl Jam and Alice in Chains. Formed in 1984 by Cornell, guitarist Kim Thayil and bassist Hiro Yamamoto, Soundgarden's third studio album, "Badmotorfinger," in 1991 spawned popular singles "Jesus Christ Pose," ''Rusty Cage" and "Outshined" that received regular play on alternative rock radio stations. Three years later, Soundgarden broke through on mainstream radio with the album "Superunknown," which debuted at No. 1 on the Billboard 200 and was nominated for a Grammy for Best Rock Record in 1995. It included hit singles "Spoonman," ''Fell on Black Days," ''Black Hole Sun," ''My Wave" and "The Day I Tried to Live." Soundgarden disbanded in 1997 due to tensions in the band, and Cornell pursued a solo career. In 2001, he joined Audioslave, a supergroup that included former Rage Against the Machine members Tom Morello, Brad Wilk and Tim Commerford. The band released three albums in six years and also performed at a concert billed as Cuba's first outdoor rock concert by an American band, though some Cuban artists have disputed that claim. Audioslave disbanded in 2007, but Cornell and Soundgarden reunited in 2012 and released the band's sixth studio album, "King Animal" in 2012. Cornell also released four solo studio albums and a solo live album. He also released the single "The Promise" in March on iTunes, with all proceeds going to the International Rescue Committee, a global humanitarian aid, relief, and development non-governmental organization. 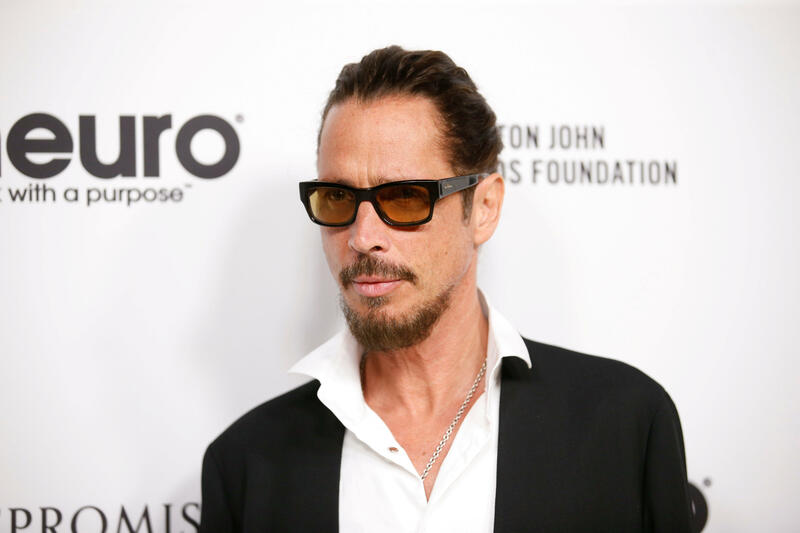 Cornell appeared only last month on "CBS This Morning Saturday" and discussed, among other things, one of the areas where his talent took him -- writing songs for movies -- such as co-writing "You Know My Name" in 2007 for the James Bond film "Casino Royale."